Carbs are a macronutrient, which essentially means they are required in large amounts to maintain health and wellness. Our bodies rely on carbohydrates for many important functions including energy production, hormone regulation, and as a source of nutrients. 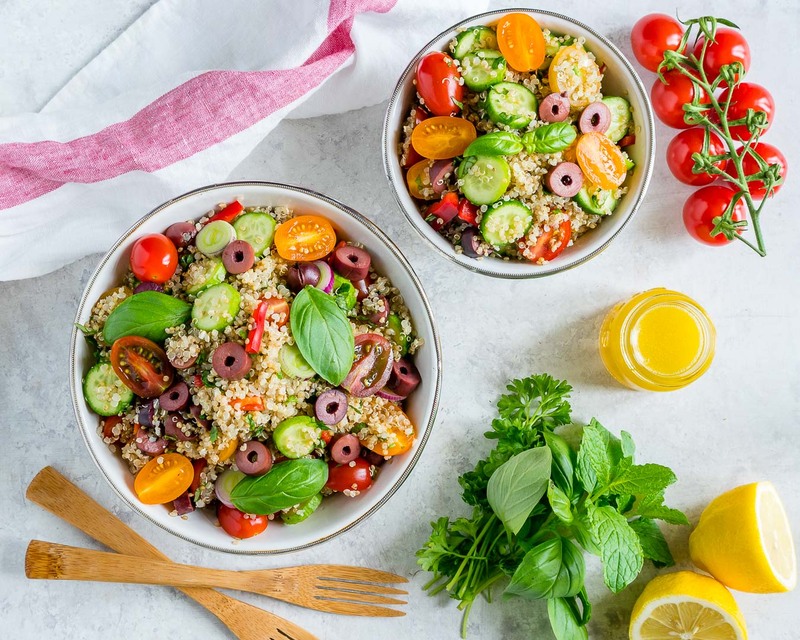 Thanks to many trendy diets and marketing tactics, there’s a lot of confusion around carbohydrates these days and whether or not they are a healthy option. Many diets are pushing ideas of eating extremely low-carb or even no-carb. But going too low carb, especially for women, can be quite problematic. It can even hinder weight loss. 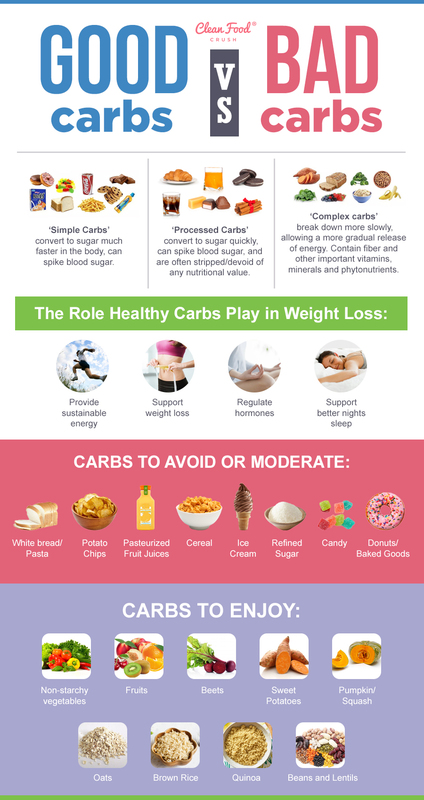 Carbs are similar to fat in that there are beneficial fats to eat and others that we want to stay away from. There are unprocessed carbs and processed carbs. 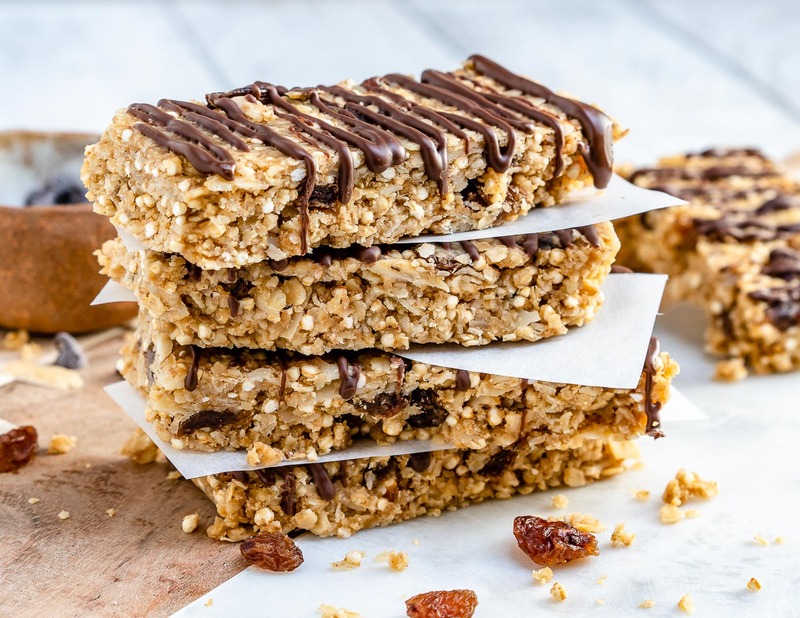 Due to modern technology over the last century, healthy foods such as whole grains have been processed and changed from their natural, healthy state to something quite different. 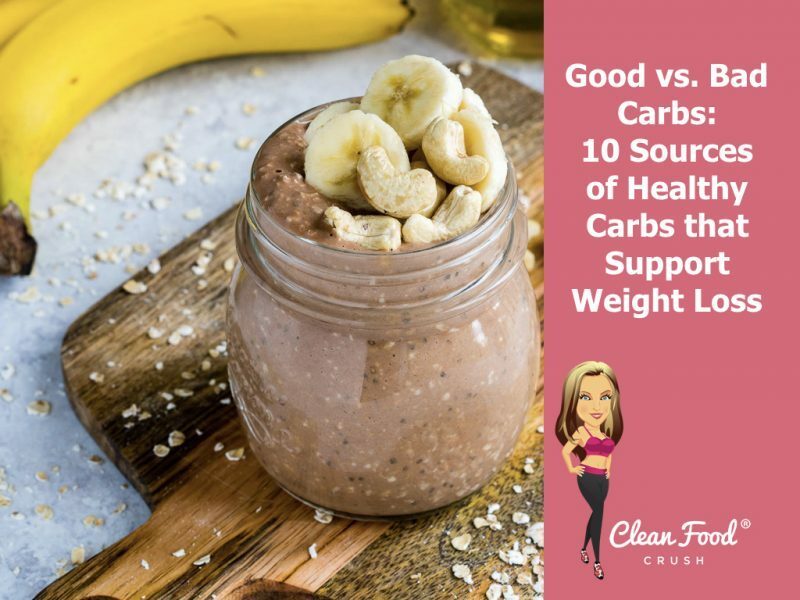 There also “complex carbs” which the body breaks down slowly providing longer lasting energy, and “simple carbs” which the body breaks down into sugar much more quickly. Complex carbs like oats and beans can help stabilize blood sugar, while some simple carbs like fruit juice or even certain high-sugar fruits have the potential to spike our blood sugar. Everybody is different in how we process and digest foods – so it’s ultimately about how you feel when you eat certain carbs. For some people, eating small amounts of fruit each day can be good, and for others, sticking to complex carbs is the best way to go. When aiming to lose weight, this is especially true – as we want to fill our plate with foods that will provide us with long-lasting energy with nutrient density. Excessive intake of processed carbs has been linked to anxiety, depression, weight gain, type 2 diabetes, digestive issues, and inflammatory conditions such as arthritis. Here are 5 Benefits of Eating Healthy Carbs. 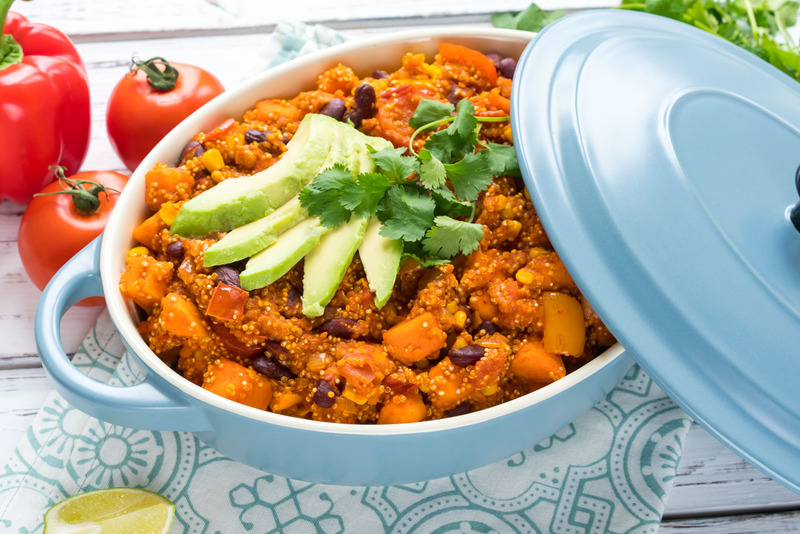 Healthy carb sources include all fruits, all vegetables – including squash, potatoes, and sweet potatoes, beans, and whole grains. It’s incredible how much our mood and energy can improve just by shifting what we put into our bodies on a daily basis! Glucose, which comes directly from the carbs we eat, is the primary source of fuel for our cells. Carbohydrates are required for many critical cellular reactions to take place. When our bodies are deprived of carbs, protein and fats can be converted into ketones and used as fuel instead. This is known as ketosis. But this is an emergency mechanism and is not meant to be long term as it comes with negative consequences. Glucose is virtually the sole fuel for the human brain. Research supports the recommendation of a minimum intake of 105-125 grams of carbs a day just for the brain to function correctly. If you restrict carbs, your brain will be lacking fuel and your ability to learn, focus, and remember certain things can be negatively affected. Carbs – especially those colorful beans, fruits, and vegetables – are the most abundant food source of important micronutrients. Vitamins C and E, antioxidants, phytochemicals, magnesium and potassium, trace minerals, B-vitamins, and of course energy ( or glucose) are abundant in unprocessed carbs. If you limit or avoid carbs, you are reducing your intake of all these vitamins and minerals which can affect your ability to prevent infection and illness. Thanks to the anti-inflammatory antioxidants, phytochemicals, and water found in carbs, they are great for helping our body recover from a workout. And the energy provided by carbs sustains us through our workouts in the first place. The water and fiber in unprocessed carbs work together to create bulk in our stomach. This helps us to feel satiated on fewer calories. Per pound of food, whole carbs contain 100-600 calories meaning they have a low caloric density. Compare that to processed junk food and refined fats that have 800-4,000 calories per pound and you can see why filing your plate with more whole carbs is a good idea. 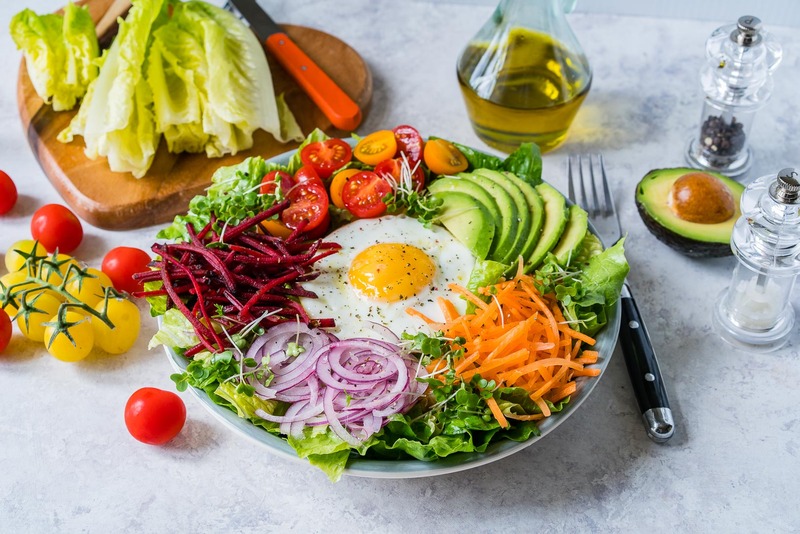 Filling up on as many non-starchy vegetables as you can throughout the day is a good way to facilitate weight loss and crowd out the unhealthy foods while getting in a ton of nutrients. 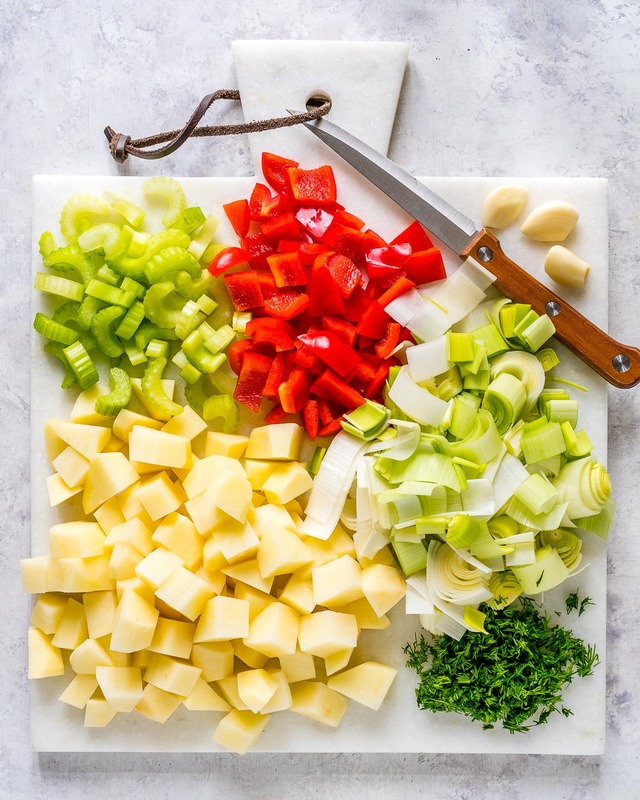 Try filling half your plate with non-starchy veggies at most meals. Many people have become fearful about the sugar in fruit. But the fruit comes packaged perfectly with fiber, vitamins, and cancer-fighting phytochemicals which helps us digest fruit at a steady pace. That’s not the case when you eat fruit-flavored gummy bears that are pure refined sugar. Bananas, apples, kiwis, and berries, are excellent options but again, moderation is required here. 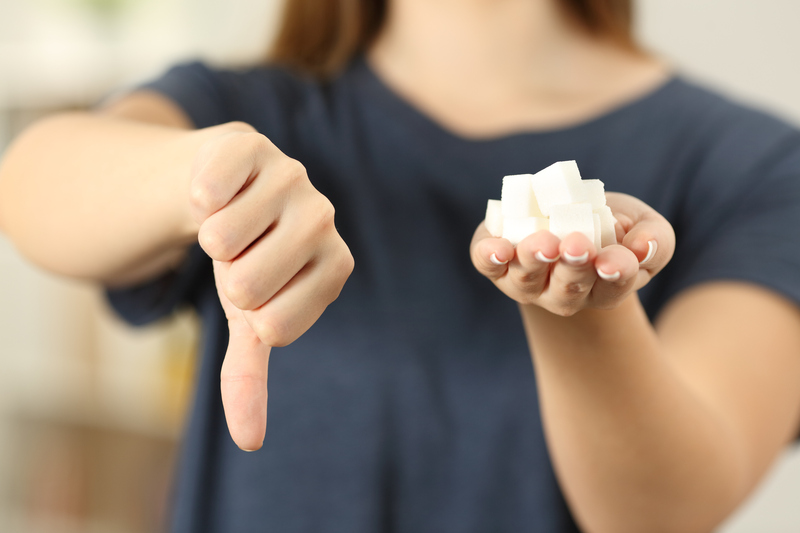 If you’re aiming to lose weight, or if you feel like you’re addicted to sugar – it can be very beneficial to remove fruit from your diet for a short period of time and slowly introduce apples and berries back in after a detox period. An amazing benefit of this deep red root vegetable has to do with our blood vessels. Beets are a natural source of nitrates which our body converts into nitric oxide. Nitric oxide helps our arteries to relax and dilate which allows more blood to flow through them. This can be beneficial during a workout. But most importantly, it can help lower blood pressure which is very important for long-term health. 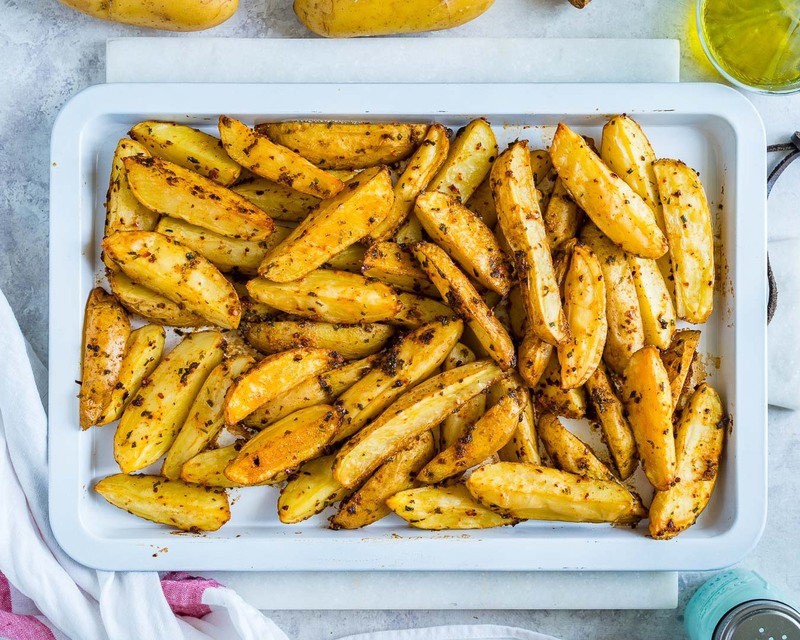 These little tubers can be made sweet or savory which can help smash cravings in a healthy way. Not to mention they are packed with vitamin A and vitamin C to support immune health. 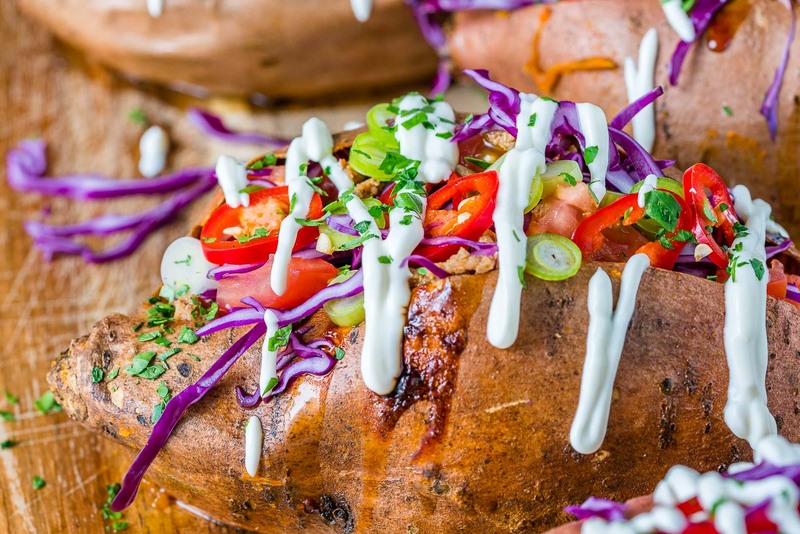 Did you know one medium-sized baked potato has nearly 900 mg of potassium, 70% of the RDA for vitamin C, and 30% of the RDA for vitamin B-6? They are a good source of iron and magnesium and contain 5 grams of fiber and 4 grams of protein. All that for only 160 calories. They are low in calories but very filling which make them a good weight loss food. As mentioned earlier, carbs are the richest source of micronutrients; pumpkin and winter squash are a great example of this. The rich orange and yellow hues are proof that these foods contain beneficial carotenoids such as beta-carotene and zeaxanthin. These play a role in our eye, heart, and immune health. All whole grains are healthy carbs sources. Oats are a popular one though and for good reason. They contain soluble fiber which can help aid in weight loss and reduce bloating. Try these simple overnight oat recipes to jumpstart your mornings Clean Eating style! Fiber-rich brown rice is a go-to carb since it’s easy to obtain, even when eating out. Many restaurants now offer it as an alternative to white rice which makes healthy eating that much easier! Add a healthy serving of protein and pile on the veggies.